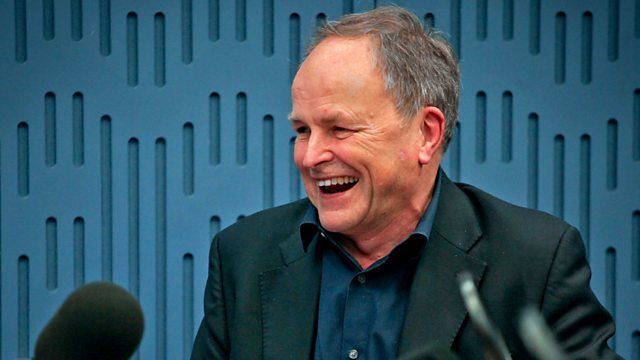 Clive Anderson is joined by Steven Knight, Sophie Thompson, Shaun Williamson and Elf Lyons for an eclectic mix of conversation, music and comedy. With music from 10cc and Dhafer Youssef. 'Al Murray’s Great British Pub Quiz' premieres on Thursday 7th March 7th at 22.00 on Quest, Freeview Channel 37. 'ChiffChaff' is at Omnibus Theatre, London from 25th to 30th March. 'One Red Nose Day and a Wedding' is on BBC One on 15th March. 'Serenity' is in cinemas on 1st March. 'The Original Soundtrack' is available now. 10cc are touring until 2nd May. They're playing at Norwich Theatre Royal on 3rd, Southend Cliffs Pavilion on 5th and Bournemouth Pavilion on 6th March. 'Sounds of Mirrors' is available now on Anteprima Productions. Dhafer is performing tracks from the album at The Royal Festival Hall in London on 15th March. He's also playing at WOMAD Festival, Wiltshire at the end of July.